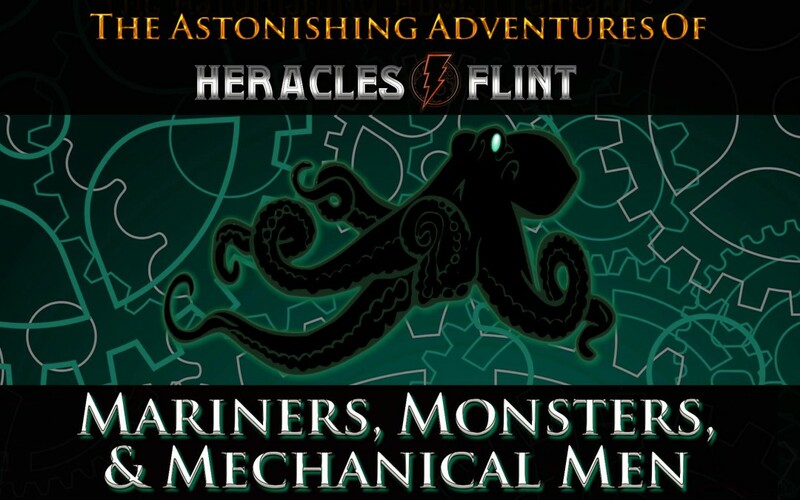 Coming soon the short story Mariners, Monsters, & Mechanical Men, a tale of introductions, seafaring danger, and worlds within worlds. It is 1876, and famed zoologist, Professor Charles Goodword, is returning from a successful Antarctic voyage onboard the ship ‘Chase The Horizon‘. All of his animal studies however have been ecilsped by a startling discovery, a metal man incased in ice, which is safely stored in the hold of the ship. How did it come to be be at the south pole, who made it, what is it, are all mysteries he hopes to unlock on his long return trip to London. Fate however has other ideas, when a huge tentacled creature tears the ship asunder on a whim. With the Chase the Horizon unable to stay afloat, their prize will be lost once more, and the crew won’t survive long in the icy cold ocean. As the ship sinks ever faster, a huge metal boat bursts forth from beneath the waves, bearing the name ‘Invincible‘ on its bow.